The Tola wood side Table is made from teak wood, a tropical wood found in many parts of the Asian region. 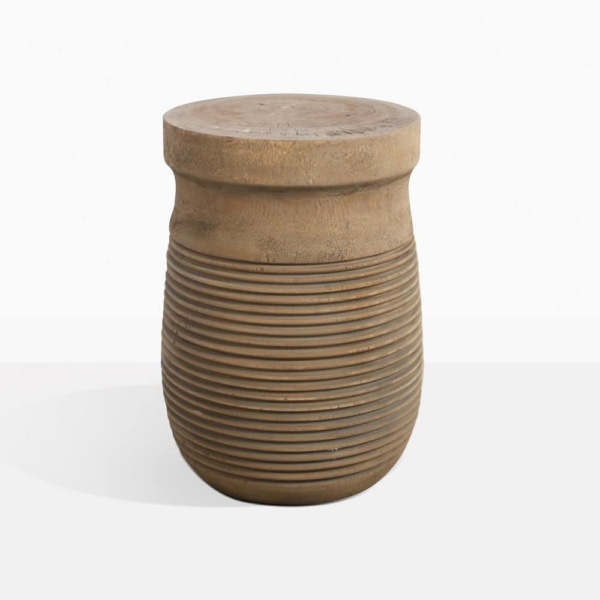 This side table was handcrafted in Indonesia. It carries with it a distressed and textured aesthetic that makes this piece unique. The shapes and colors are unique to each individual piece and you will never get the exact same one, which make this piece so appealing. Please notice that these organic pieces as unique as they are, each one being slightly different. If you have any questions about selecting your Tola Side Table, please call or email us. Please note that these pieces are unique and each one will vary slightly in size, hue and texture.